OK this guide is out of Beta and is now LIVE! Hope it helps and as always if you have something you want to add or you think should be changed please let me know! Could this guide provide a link to "Isakura's Guide to Crafting Proficiencies" that isn't private? Heya Cal, I think I addressed what you wanted, check again and let me know. I think I'll add some useful reddit information to this post as I see it. 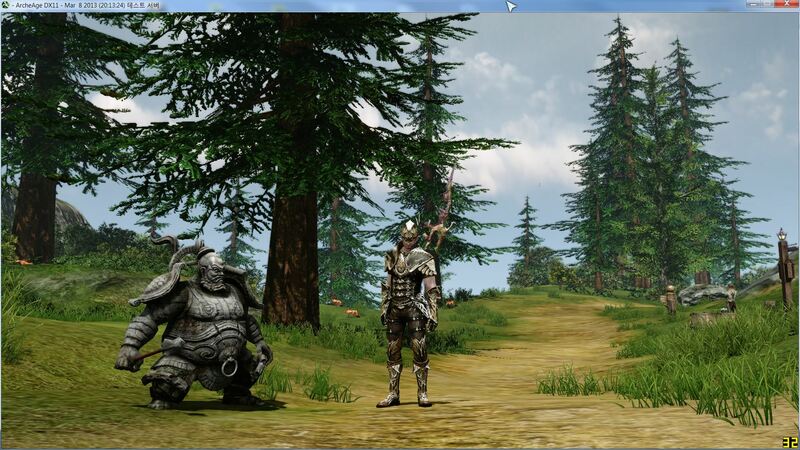 Gearing up in ArcheAge -Where to find level 30+ gear reward quests. Let's Talk Pets! -All about battle pets! A Guide to Gliders - Everything you need to know about upgrading gliders. Becoming a Juror- Ever dream of using trial chat for conversations other than trolling? The World of ArcheAge, named Erenor, is huge. Not like "man that was a huge dungeon" huge but like "Man this trade run is going to take forever, wait I still need to cross a sea?" huge. Here's a great write up on the world itself from the ArcheAge Wiki. With such a large world our means of transportation becomes very important. And besides some limited recall stone use there are no teleportation systems like ESO's. So strap in and let's look at mounts, gliders and ships! Isakura has written a fantastic indepth look at all the ships and gives great commentary all around. Thanks Isakura! 1. Owner's Mark: Boat-buff that prevents anyone except the boat's owner from taking the helm (by no one that includes absolutely everyone, including members of your guild, party, and family). It lasts for 60 seconds, after which it wears off and the boat is fair game for anyone. Essential to prevent your boat from being stolen. 2. Captain's Intuition: Owner-buff that increases the captain's ability to evade attacks. Once cast, it will remain on the captain until the captain leaves the helm. Essential to decrease the risk of the captain being knocked/pulled off the helm, be it by sea bugs or pirates, etc. 5. Turbulence: Boat-buff that pulses the air around a boat every few seconds to disable gliders, lasts for 2 minutes. This is the basic starting boat that every race acquires somewhere along their quest lines. It may or may not be part of their story quest, so keep an eye out - usually if you are near a dock with a bunch of rowboats, that means the quest giver/turn in is nearby. Machinists can also build one using minimal mats. 1. Harpoon: has a player-operated harpoon gun on the bow that can target anything from land to trees to other boats; tension physics apply to the line and it can break relatively easily; purchased from the Western docks on Mirage Isle; used for the ubiquitous 'land-boating' maneuver; easily troll-able as anyone can use your harpoon and flip your boat. 2. Adventurer's: aka 'Cannon Clipper,' in lieu of a harpoon on the bow this possesses a cannon on the port side - in order to use it, you must carry cannonballs in your inventory; purchased from the Eastern docks on Mirage Isle; used to destroy boats pretty easily. Both ships carry oxygen tanks that take 3 minutes* to recharge and are carried like a trade pack - you can loot an oxygen tank and despawn your boat yet still have the O2 tank on your back. The harpoon clipper also has a portable harpoon cannon that can be carried like a trade pack and used on the water against enemies. Able to carry 20 trade packs, this has recently become quite popular as a PvP base ship as well due to the speed, maneuverability, and radar (moreso than the galleon even). It also possesses 2 cannons* on both the port & starboard sides. 1. Lutesong Junk: radar is located on the main deck midship; carries a war-drum; purchased on the Eastern docks in Mirage Isle. 2. Eznan Cutter: radar is located up in the crow's nest of the mast; purchased on the Western docks in Mirage Isle. As you might've guessed, these are fishing boats! Due to the extreme profitability of sport-fishing in the open ocean, these are quite popular nowadays. Fish, when caught, are carried and stored like trade packs - except they can't be stored in a trade pack bin, but they CAN be stored in the storage wells on these boats. The 2 cranes in the back can be used to carry in extra large fish that can, feasibly, turn in for hundreds of gold. However, due to the bells and whistles, these are one of the most expensive to build in terms of mats, labor, and gold. I hope this quickly little (hah) guide helped to clear up some of the more common questions asked regarding the differences among ArcheAge's fine naval vessels. If you have any questions, by all means post here! Thank you, and keep sailing! When do I get my mount? : Level 6-8 via a quest in your respective starting area. All stablehands sell armor to make your mount feel fancy. Where do I get a glider? : For West, Level 13ish quest in Bear Mountain, Lilyut. You can upgrade it for cheap at Mirage Isle also. It has nice maps with mining locations! This is an awesome guide! I have been wanting to learn more about ArcheAge and possibly play it and now that I have read this I really think I'm going to start the download tonight. My main game is TESO but hopefully I can get into AA and play with some of you guys some time!